LE MONDE Institute of Hotel & Tourism Studies has been founded by professionals with years of experience in Tourism, Hospitality and Gastronomy. The Board of LE MONDE Institute of Hotel & Tourism Studies consists of highly qualified faculty that uses today’s most advanced and innovative principles in hotel management education. General Director is Mr. Makis Velissaropoulos, graduate of the Swiss School of Glion, with long service in the Hotel Management of many companies in Greece and abroad. LE MONDE Institute of Hotel & Tourism Studies enjoys the collaboration of professors with extensive experience in hotel management education, so as to provide high quality courses that meet the modern needs of tourism businesses. The provision of quality educational programs and the emergence of the students’ talent provide graduates with the supplies for a great career. Our mission is to offer students, quality learning programmes by experienced professionals in order, our graduates, to achieve valued recognition in the Tourism Industry globally. 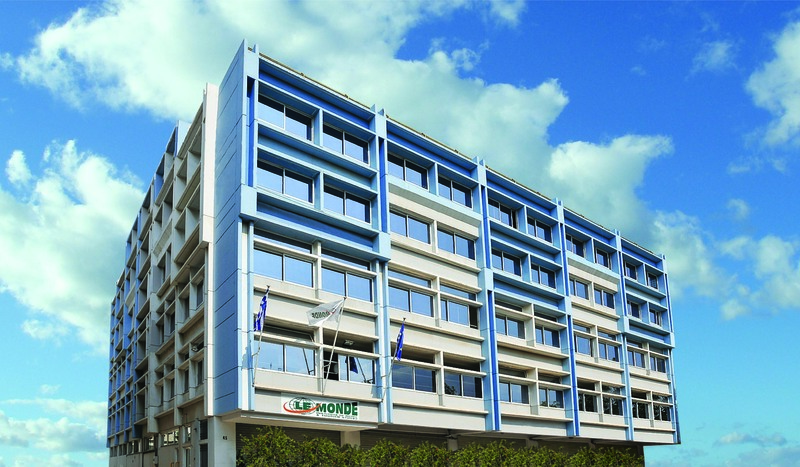 LE MONDE Institute is housed in a building complex of ultra-modern facilities in Moschato, Athens, with a total area of 6.000m2. The new building complex is comprised of numerous specialized laboratories, such as Professional Gastronomy Labs, Sommelier and Wine Tasting Labs, fully equipped Computer Labs, Lab for e-tourism Activities, etc. Also, a fully updated library – reading room, comprised of 2.800 titles and magazines specialized in tourism, with access to the most important e- libraries, is also available to our students and graduates. 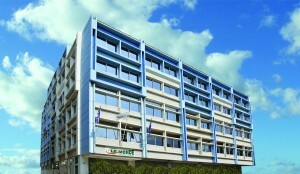 The education provided to LE MONDE Institute’s students, combines theoretical teaching with laboratory monitoring. 50% of the teaching hours of the technical modules, is performed in modern laboratory facilities. Modules are based on high quality bibliography, issued by “LES LIVRES DU TOURISME” publications, of LE MONDE Institute. Books are an integral part of an organized and methodical training, fully aligned with the international professional standards and the labour market’s demands and comprise the student’s curriculum. LE MONDE enjoys the privilege of being the only Institute of Hotel & Tourism Studies in Greece, certified member of the United Nations World Tourism Organization-THEMIS Foundation (UNWTO- THEMIS Foundation). Also, LE MONDE Institute is also a member of the Association of Greek Tourism Enterprises (SETE) and the Hellenic Association of Travel & Tourist Agencies (HATTA). LE MONDE Institute’s programs are accredited by the Ministry of Education, Lifelong Learning and Religious Affairs and the United Nations World Tourism Organization-THEMIS Foundation (UNWTO-THEMIS Foundation). For those who wish to excel in the professional arena and become experts in the field of tourism, hospitality and gastronomy, LE MONDE Institute of Hotel & Tourism Studies, offers highly esteemed educational programs, unique internships and placement opportunities.